A remote, barren and ruggedly beautiful island lies at the southern end of the Outer Hebrides. Its people, loyal for centuries, have abandoned it but the beauty and history of Mingulay remain. 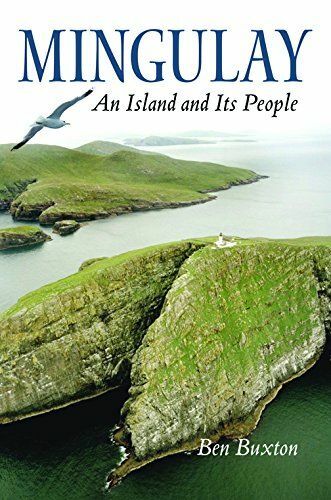 The story of St Kilda, whose inhabitants were also forced to leave, is well known, but that of Mingulay is no less poignant, and is told in this acclaimed book for the first time. Ben Buxton documents the story of a people and of an island. In the nineteenth century Mingulay was home to up to 160 islanders who lived by crofting, fishing and by catching seabirds from cliffs which are among the highest in Britain. Looking back through the annals of history, he uncovers the traditions of a hospitable, close community which thrived under clan rule. But set in lonely isolation in the stormy Atlantic, with no proper landing place, absentee landlords and insufficient fertile land, life for Mingulay's inhabitants was hard, and By 1912, the 'voluntary' evacuation of the island was complete.